i had this great and grand plan to post a pie recipe on pi day. i had a whole backstory for pi day planned out, a potential spiel on the the digits that follow 3.14, and a sweet pie recipe to share. buuuuuttt pi day rolled around, and i missed that one, so i decided that i'd just have it up for my weekly post. and so i missed that one too, so here, in its place, is a cinnamon sugar apple cake. 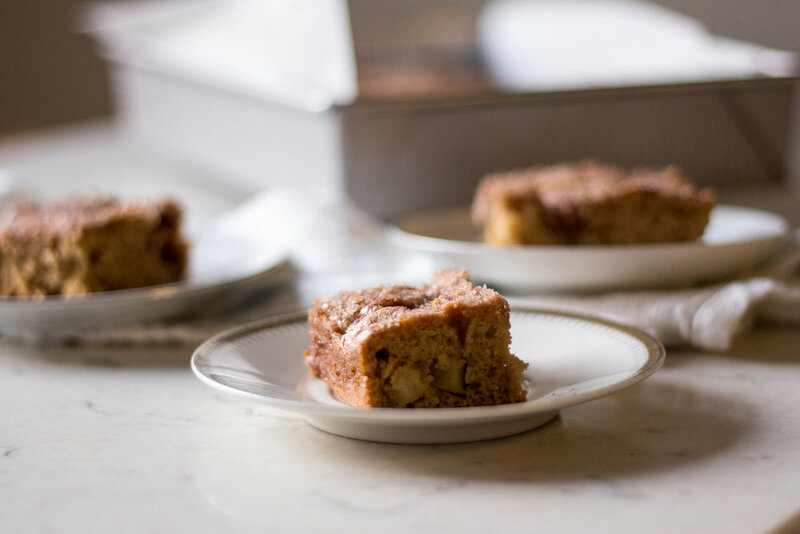 it's a light and fluffy cake with apple chunks and a crunchy cinnamon-sugar topping. it's made in one bowl and can be done in less than an hour. plus, it's just as tasty, if not better (because it's easier and quicker to make), than the pie recipe you'll get at some point in the near future. baker's notes: here's a tip. the recipe calls for buttermilk, but you can sub for a couple things milk+vinegar (pour one tablespoon white vinegar/apple cider vinegar into a measuring cup, and fill the rest of the measuring cup with milk until you reach the one cup measurement mark), yogurt+water or greek yogurt+water (dilute a couple tablespoons of the yogurt with water until it's the consistency of milk). preheat oven to 325 f, and grease a 9x13-inch baking pan. 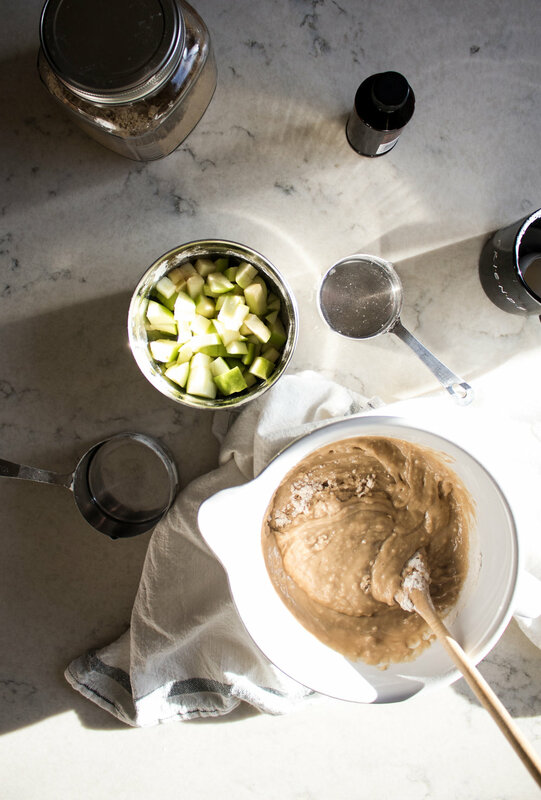 make the cake: mix all cake ingredients together until well-combined, don't overmix. pour batter into prepared pan. 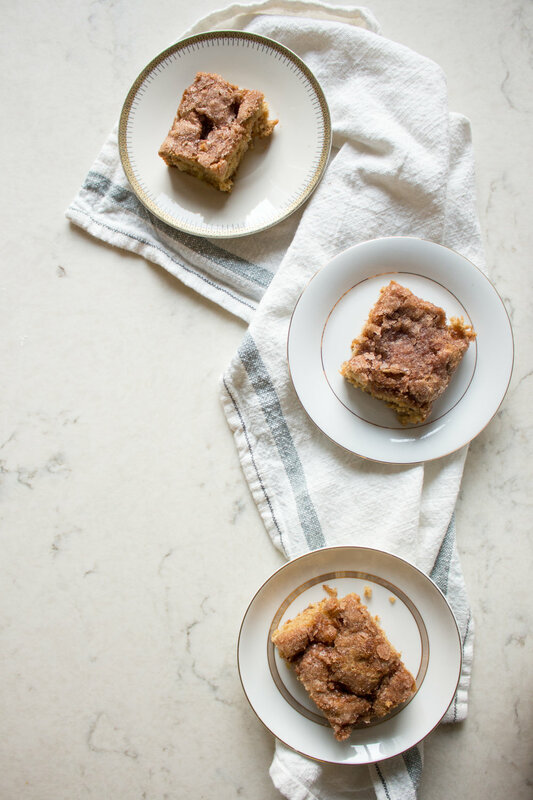 make the cinnamon sugar topping: combine the cinnamon sugar topping ingredients until crumble. sprinkle the topping evenly over the batter. bake for 45-minutes, or until a toothpick inserted in center comes out clean.